Fancy this: Snow-clad mountains dotted with pine trees, a topaz blue sheet spread across the sky and the churlish winter wind almost piercing through to the bones. The temperature was minus eight degree Celsius and there I was, standing in Chiktul, the last village on India's border with China in Himachal Pradesh. It was all white where I stood and there were no stains to be seen on the colour. Just across, the river Bapsa was flowing in its full spirit. Much like the "haunts of coot and hern" that Alfred Tennyson has immortalised in his poem "The Brook", the river created tinkling sounds as it crushed the stones "to make a sudden sally". The sun was basking in its full glory and its sharp reflections on the snow seemed too much for the eyes to take -- and yet I was freezing cold. Located in one of the remotest areas of Himachal Pradesh, Chitkul lies in Kinnaur district at a height of 11,320 feet above sea level. I was back on NH-22 -- perhaps one of the most dangerous roads in the world owing to its pathetic condition, sharp cuts and turns -- and yet it remains one of my favourite paths to travel. 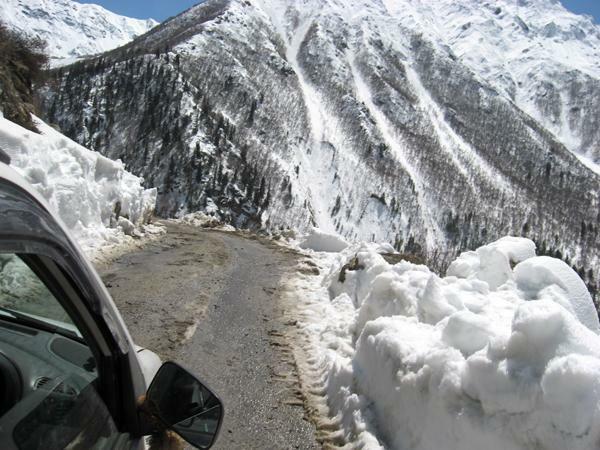 And this time the course of my journey was Sangla-Rakchham-Chitkul. As we diverted for Sangla from Karcham, the roads became rougher and narrower but it was the scenic bliss which kept my eyes glued at the hills. The weather suddenly turned cold, the dark clouds covered the snow-capped peaks and snow flakes greeted us as we entered the village. 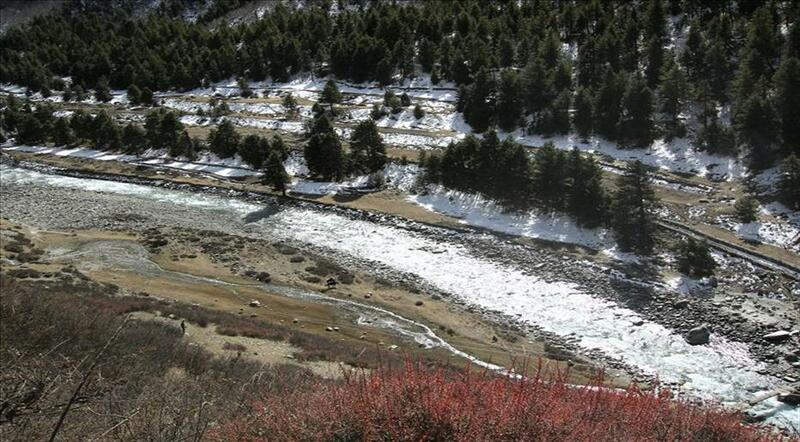 Sangla is a sheer token of mother nature's blessing, away from the cacophony of bustling city life. The serenity that the place offered was indeed the solace I had long been craving for. The tiny village is surrounded by hills and the Baspa flows through it. The sight looked no less than an artist's painting. As the temperature dropped to minus six in the evening, the streets wore a deserted look and I gulped down hot momos and clear soup to warm myself. Mornings are bliss in the hills; the pleasure of watching the sun rising from behind the peaks and the snow catching the first rays is a joyous experience. As I approached Chitkul from Sangla, the landscape turned whiter, the wind became extremely chilly, making the pine and bruce tree branches quiver. The Baspa and the rustling of the leaves accompanied me all the way. The roofs of the tiny huts I could see at a distance were covered with a thick layer of snow while the barren land remained buried deep beneath it. 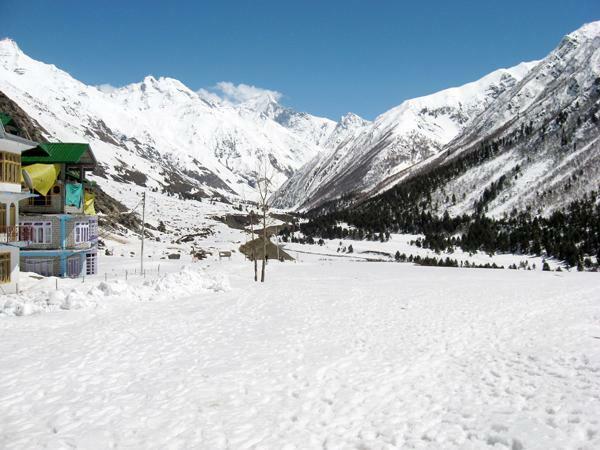 In between Sangla and Chitkul, there comes another tiny village -- Rakchham. Temples and houses built in pagoda style make it an interesting place to halt. The moment I reached Chitkul, I was awestruck by the beauty of the place -- raw, pristine, untouched. The mountain range stood erect, covered from tip to toe in snow and so were the village lanes. Adrenaline surged through me as I stood there. I occupied an empty bench and admired mother nature's creation that left me hypnotised and spellbound. It was only me and nature. I waited there till the blue sky faded away and the sun hid behind the peaks. The rays scattered across the sky, blushed and turned red, as if someone had spilled wine on a white canvas. The lines that came to mind immediately were Tagore's "Clouds come floating into my life, no longer to carry rain or usher storm, but to add colour to my sunset sky". The nights in the hills can be strange and at times cause despair in the urban visitor. The silence is haunting. But a single glance towards the sky will lift the melancholic mood -- millions of stars, galaxies and constellations -- each so clear to identify, something rare in urban skyscapes. William Blake once wrote "Great things are done when men and mountains meet". My days at Sangla came to an end only to leave me craving for more. 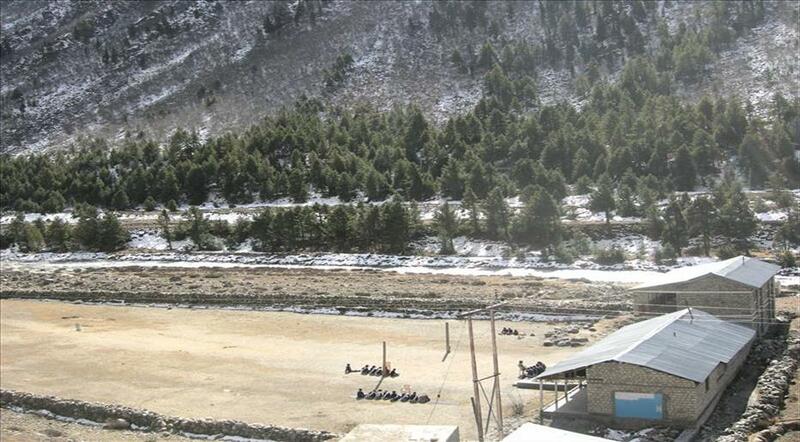 Temperature: The winter is extremely harsh in Sangla. Summer is pleasant. Avoid the monsoon due to bad road conditions. How to reach: Sangla from Delhi takes around 16 hours. Buses are available from Shimla and Rampur. 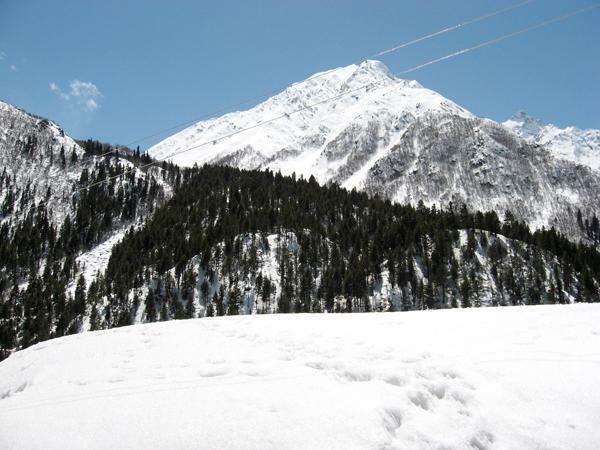 Where to stay: There are many hotels and homestays which remain closed during winters. What to eat: With a mixed culture of Tibetan and Kinnauri, Indian as well as Tibetan food is available.